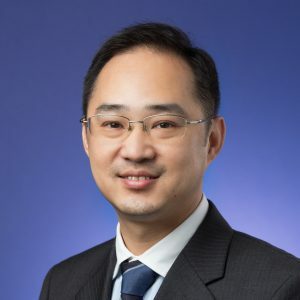 Prof. Donghui Wu holds BA and MA degrees in accountancy from Xiamen University and a PhD in accountancy from The Chinese University of Hong Kong (CUHK), and is a Certified Public Accountant (non-practicing) of China. He is currently an Associate Professor at CUHK Business School and the Director of Centre for Institutions and Governance of CUHK. Prior to joining CUHK, he has taught at Lingnan University and the Hong Kong Polytechnic University. Prof. Wu has broad research interests in accounting, auditing, and corporate finance, with a special focus on the emerging and transitional economy of China. He is currently Associate Editor of China Journal of Accounting Research and Ad Hoc Editor for Contemporary Accounting Research. In-Mu Haw, Bingbing Hu, Donghui Wu, and Xu Zhang (2018), “Having a finger in the pie: Labor power and corporate dividend policies,” Financial Management, forthcoming. Xianjie He, Jeffrey Pittman, Oliver Rui, and Donghui Wu (2017), “Do social ties between external auditors and audit committee members affect audit quality?” The Accounting Review, 92(5), 61-87. Jun Chen, Ke Bin, Donghui Wu, and Zhifeng Yang (2017), “The consequences of shifting the IPO offer pricing power from securities regulators to market participants in weak institutional environments: Evidence from China,” Journal of Corporate Finance, 50, 349–370. Yuyan Guan, Nancy Su, Donghui Wu, and Zhifeng Yang (2016), “Do school ties between auditors and client executives influence audit quality?“ Journal of Accounting and Economics, 61(2-3), 506-525. John Goodwin and Donghui Wu (2015), “What is the relation between audit partner busyness and audit quality?” Contemporary Accounting Research, 33(1), 341-377. John Goodwin and Donghui Wu (2014), “Is the effect of industry expertise on audit pricing an office-level or a partner-level phenomenon?” Review of Accounting Studies, 19(4), 1532-1578. Ferdin A. Gul, Donghui Wu, and Zhifeng Yang (2013), “Do individual auditors affect audit quality? Evidence from archival data,” The Accounting Review, 88(6), 1993-2023. Shimin Chen, Zheng Sun, Song Tang, and Donghui Wu (2011), “Government intervention and investment efficiency: Evidence from China,” Journal of Corporate Finance, 17(2), 259-271. Koon-hung Chan and Donghui Wu (2011), “Aggregate quasi rents and auditor independence: Evidence from audit firm mergers in China,” Contemporary Accounting Research, 28(1), 175-213. Shimin Chen, Sunny Y.J. Sun, and Donghui Wu (2010), “Client importance, institutional improvements, and audit quality in China: An office and individual auditor level analysis,” The Accounting Review, 85(1), 127-158. In-mu Haw, Simon Shun-man Ho, Bingbing Hu, and Donghui Wu (2010), “Concentrated control, institutions, and banking sector: An international study,” Journal of Banking and Finance, 34(3), 485-497. Jennifer Kao, Donghui Wu, and Zhifeng Yang (2009), “Regulations, earnings management, and post-IPO performance: The Chinese evidence,” Journal of Banking and Finance, 33(1), 63-76. Richard Nen-chen Hwang and Donghui Wu (2006), “Has the emergence of the specialised journals affected management accounting research paradigms?” Advances in Management Accounting, 15, 143-168. Donghui Wu and Zuyun Xue (2005), “An empirical investigation of analysts’ earnings forecast in China’s A-share markets,” China Accounting and Finance Review, 7(1), 28-53. In-mu Haw, David Qi, Donghui Wu, and Woody Y Wu (2005), “Market consequences of earnings management in response to security regulations in China,” Contemporary Accounting Research, 22(1), 95-144. Mensah Yaw, Richard Nen-chen Hwang, and Donghui Wu (2004), “Does managerial accounting research contribute to related disciplines? An examination using citation analysis,” Journal of Management Accounting Research, 16, 163-181. Donghui Wu (2001), “An empirical investigation of Chinese listed firms’ choice of accruals,” China Accounting and Finance Review, 3(3), 82-116. Kam C. Chan, Xuanyu Jiang, Donghui Wu, Nianhang Xu, and Hong Zeng, “When is the client king? Evidence from affiliated analyst recommendations in China’s split-share reform”. Hanwen Chen, Song Tang, Donghui Wu, and Daoguang Yang, “The political dynamics of corporate tax avoidance: The Chinese experience,” SSRN. Shimin Chen, Bingbing Hu, and Donghui Wu, “When auditors say “no”, does the market listen?” SSRN. Shimin Chen, Serene X. Ni, and Donghui Wu, “Corporate governance and the asymmetrical behaviour of selling, general and administrative costs: Further evidence from state antitakeover laws,” SSRN. Zhaoyang Gu, Song Tang, and Donghui Wu, “The political economy of labour cost behaviour: Evidence from China,” SSRN. Lixin (Nancy) Su and Donghui Wu, “Is audit behaviour contagious? Teamwork experience and audit quality by individual auditors,” SSRN.